The Best Charleston Blogs from thousands of Charleston blogs in our index using search and social metrics. We’ve carefully selected these websites because they are actively working to educate, inspire, and empower their readers with frequent updates and high-quality information. 2.12 Pie Crust and Pixie Dust - Best recipes for baking with kids. Charleston newsletter is a comprehensive summary of the day's most important blog posts and news articles from the best Charleston websites on the web, and delivered to your email inbox each morning. To subscribe, simply provide us with your email address. Charleston, SC About Blog Created in August 2011, Holy City Sinner celebrates the many sides of the historic and lively city of Charleston. From local news aggregation, helpful resources, and interviews to event listings, celebrity sightings, and party previews, the blog serves as a hub for the city's day-to-day happenings. Facebook fans 16,202. Twitter followers 38,309. Charleston, SC About Blog Charleston's best source of restaurant, music, and entertainment news. Facebook fans 60,167. Twitter followers 85,662. Charleston, SC About Blog AN INSIDER'S GUIDE TO CHARLESTON. Explore the sights, sounds and flavors only found in one place: Charleston, South Carolina. Facebook fans 77,754. Twitter followers 47,284. Charleston (Mount Pleasant) SC About Blog Charleston Living Magazine is the city magazine for Charleston SC, reflecting the people and traditions of this Lowcountry city. Enlightening and appealing, Charleston Living magazine captures the true spirit and beauty of Charleston. Facebook fans 2,028. Twitter followers 552. Charleston, SC About Blog The Charleston Restaurant, Bar, and Nightlife Blog. Food news and dining guides for Charleston. Facebook fans 19,798. Twitter followers 19,386. Charleston, S.C. About Blog The Source for All Things Charleston. Features things to do in Charleston such as tours, attractions, retail, restaurants and more. Facebook fans 23,066. Twitter followers 4,123. San Francisco, CA About Blog A community to share news, events, gatherings, stories, and more for everyone that calls The Holy City (and her surroundings) home. Charleston, North Charleston, Mount Pleasant, West Ashley, James Island, Johns Island, Isle of Palms, Folly Beach, Sullivan's Island, Daniel Island, Summerville, Hanahan, Goose Creek, Wadmalaw Island. Facebook fans 1,187,072. Twitter followers 555,807. Charleston, SC About Blog skirt! magazine celebrates women with attitude. It's been Charleston, South Carolina's only women's magazine since 1994. Speaking to all sides of a women’s personality: work, play, family and creativity. Facebook fans 3,872. Twitter followers 16,862. Charleston, SC About Blog Charleston Moms Blog is passionate about our community and the moms who live here! We seek to connect local moms both online and in person. Facebook fans 6,481. Twitter followers 719. Charleston, SC About Blog The Sound of Charleston is 105.5 The Bridge. Your local radio station, we support local music, & cover news from & about Charleston. Facebook fans 9,380. Twitter followers 6,483. Charleston About Blog The Wedding Row is Charleston’s ultimate resource for weddings. From the chic, to the elegant, to the over-the-top fabulous, we divulge all the details here. Facebook fans 3,986. Twitter followers 2,703. 12. Pie Crust and Pixie Dust - Best recipes for baking with kids. Facebook fans 113. Twitter followers 39. Charleston, SC About Blog We are here to inspire you in remodeling, renovations, design and decor, and home improvements, as well as custom home building. The Charleston Home Design team will connect you with the top lowcountry professionals to help you design the ultimate Holy City home. CH D hosts three Home Shows a year featuring first class exhibitors. Facebook fans 6,681. Twitter followers 1,420. Charleston | SC | USA About Blog We’re a growing network of investors, staff, business, academic and governmental partners committed to strengthening regional employment and building a base of high-value industries to improve the three-county Charleston region’s economy now and into the future. The Charleston Regional Development Alliance serves as a catalyst for long-term regional prosperity by attracting the world’s best companies, talent, and entrepreneurs. Facebook fans 1,928. Twitter followers 6,726. Mount Pleasant, SC About Blog Welcome to Charleston Fun Park! We are your locally owned and operated Family Entertainment Center in the Charleston area. We've got go-karts, putt-putt, an arcade, rock climbing, jumpland and more! Facebook fans 8,505. Twitter followers 161. Facebook fans 2,678. Twitter followers 463. Charleston, SC About Blog At Handsome Properties, our team loves to lead by example when it comes to showing you all that our wonderful city has to offer. When buying your home, your Handsome Properties agent will be equally integral to your process. When you work with us, you can rest assured that dependability, hard work, and an astute knowledge of your needs will always be at the forefront of your agent’s mind. Facebook fans 4,228. Twitter followers 802. About Blog CharlestonToday is a not-for-profit venture designed to promote awareness of the arts in Charleston. Our goal is to be Charleston’s premier source for cultural information and arts journalism. Charleston, SC About Blog The Cassina Group: Charleston SC Real Estate information and listings. Search all homes for sale in the Greater Charleston area. Facebook fans 5,382. Twitter followers 1,197. Facebook fans 3,394. Twitter followers 215. Facebook fans 1,987. Twitter followers 1,291. South Carolina About Blog Charleston SC Homes for sale and sold home information. Find all homes and land for sale in Charleston MLS, AgentOwned Realty, School and distressed property info. Facebook fans 1,511. Twitter followers 885. Charleston SC About Blog All Charleston homes for sale. It is our goal as your full service real estate agents to provide you with un-expected excellence in service at all times. Fully staffed with a FULL TIME team of licensed realtors, we also have behind the scenes support and administrative staff to ensure that your every need is fulfilled. Facebook fans 1,500. Twitter followers 399. 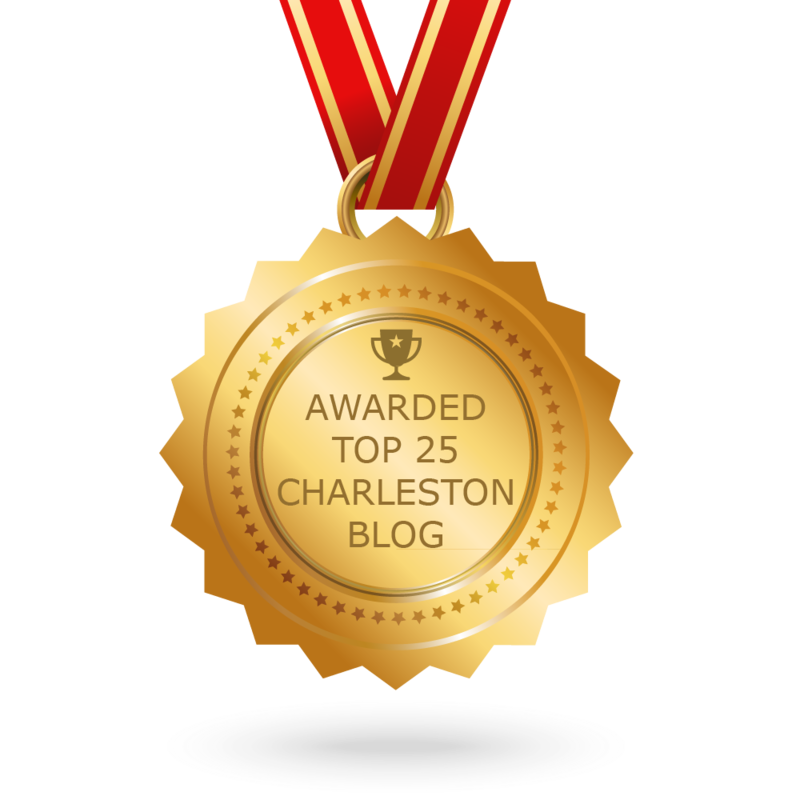 CONGRATULATIONS to every blogger that has made this Top Charleston Blogs list! This is the most comprehensive list of best Charleston blogs on the internet and I’m honoured to have you as part of this! I personally give you a high-five and want to thank you for your contribution to this world.